Hello Everyone! 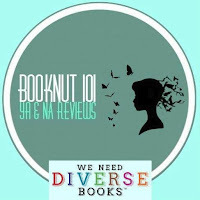 Today the lovely Booknut will be joining us yet again for another awesome guest post. BookNut is the blogger over at 21st Century Once Upon a Times. 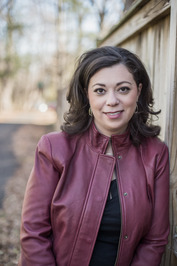 Her blog consists of all kinds of delightful book related topics, as well as her amazing YA & NA book reviews are featured there. I hope you all enjoy her post on Cliff Hangers. If you like what you read, make sure to check out more of her book discussions and reviews over on her blog. Every year, 10 out of every 11 bookworms suffer from PTCD (Post Traumatic Cliffhanger Disorder). Okay…so maybe that statistic is made up. And there may be a teensy chance that PTCD is not a real illness. It definitely isn’t – there are bigger problems in the world than cliffhangers. They tend to fall under ‘First World Problems’ for the most part! However cliffhangers can change a bookworm’s life and can be an extremely traumatic experience for everyone involved. They’re one of the worst possible ways to finish a book…apart from watching every character in the book die, or reading the epilogue of a John Green novel a.k.a your eyes will never be dry again. Cliffhangers are an author’s way of making sure you’ll buy the next book and that you’ll obsess over the next book’s possible plot for about a year…or two…or three. They can be kind (e.g. “She skipped through the door and stepped into the unknown.”) or they can be straight from the fiery pits of Hell (e.g. Opal by Jennifer L. Armentrout *bursts into tears*). Either way they’re gonna be the cause of endless fangirl rants, late nights, and the fort of empty tissue boxes and wine glasses lined up outside your bedroom door. Today, lovely bookworms, I’m going to share my cliffhanger expertise with you all. What qualifies Booknut to give me advice on cliffhangers? you may be asking yourself. Well, not only do I have a Bachelor’s Degree in Fangirling, but I have been the victim of many a YA cliffhanger over the course of my (almost) twenty-one years of life. I’ve been through it all: the ugly crying, the ice-cream shovelling, the sad ITunes playlists…and I have emerged stronger and still as susceptible to them as ever because I am WEAK! This post is about how to spot cliffhangers, avoid them, and – if you’re brave of heart – how to SURVIVE them. So let’s…get…started! - The starring couple are way too happy and it’s about three quarters through the book. Like, nothing has gone wrong for them AT ALL. THEY ARE BLESSED! - You’ve looked up the book on Goodreads and you can see there’s another two books in this series to go…so a happily ever after doesn’t look too likely. - The villain is grinning far too genuinely. They’re sooooo defeated – or are they?! - The author is known for their sadistic nature. - Skip the last page. - Skip the last chapter. - Throw the book out of the nearest window. - Re-write the ending and paste your ending into the back of the book. - Save the book until the next book comes out. Then read it! That way when you get to the cliffhanger you only have to experience about a minute of agony before you can crack open the next book to find out what happens. o Ice-cream, chocolate, and cheesecake. Or all three together! o A calendar to mark down the days until your life starts again a.k.a the release date of the next book. - STAY STRONG! This is all part of being a bookworm, experiencing the highs and lows of a series. Re-read the others books in the series…discover a new series to enjoy…or stalk the author’s blog page for new book updates. And remember: you’re most certainly not alone! Have you ever experienced a horrible cliffhanger? How did you survive it? Let me know in the comments below! Bookworm. YA & NA blogger. Music addict. Relatively human. Booknut is a bookworm of the highest degree, OCD about books and jilting Mr Darcy for Will Herondale. When not sitting glued to her computer screen, she is prone to fervent book obsessing sessions, daydreaming and has a bit of a personality crisis. Spends days reading, sleeping, writing random short stories, or watching Austen movies for the hundredth time. She loves her bookshelf (though she would love to trade it in for a Beauty and the Beast-esque library!) her computer, her friends and her followers. Loves anything to do with the fantasy world, would like to live in it and is open to any author requests for book reviews. Hopes to one day publish one of her many unfinished stories, but in the meantime is happily munching away on Snickers bars waiting for fae to come knocking at her front door. Feel free to fangirl with me about cliffhangers and all things books over on my Twitter page! Lol. I LOVED this blog post! I have suffered from PTCD numerous times. It's the worst! Alcohol and netflix have helped me cope.